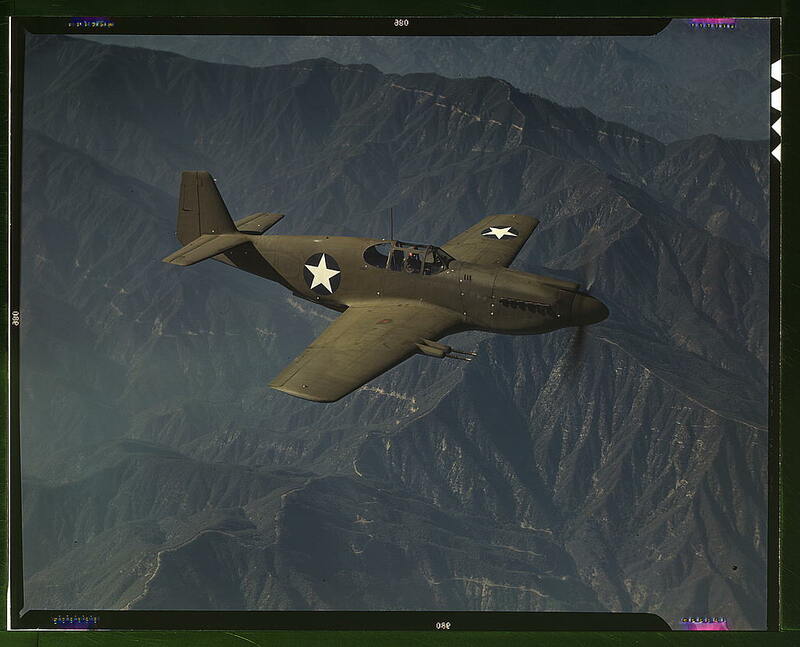 Color photo of P-51 Mustang, in flight, 1942. 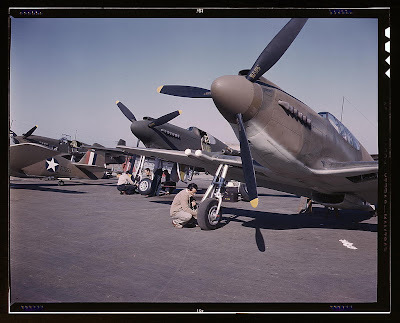 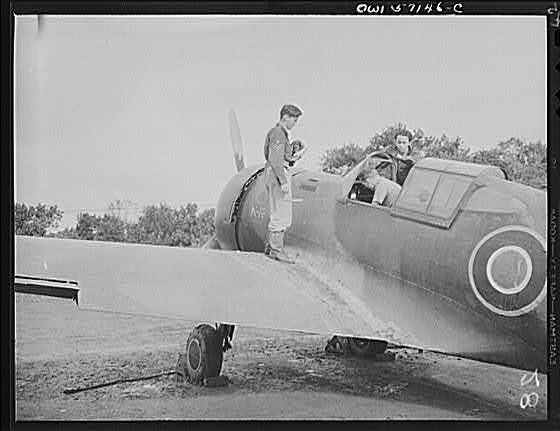 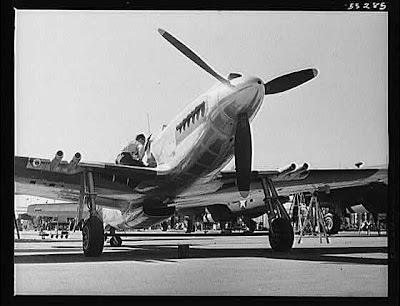 New P-51 Fighter gets a final inspection before its first test flight, 1942. 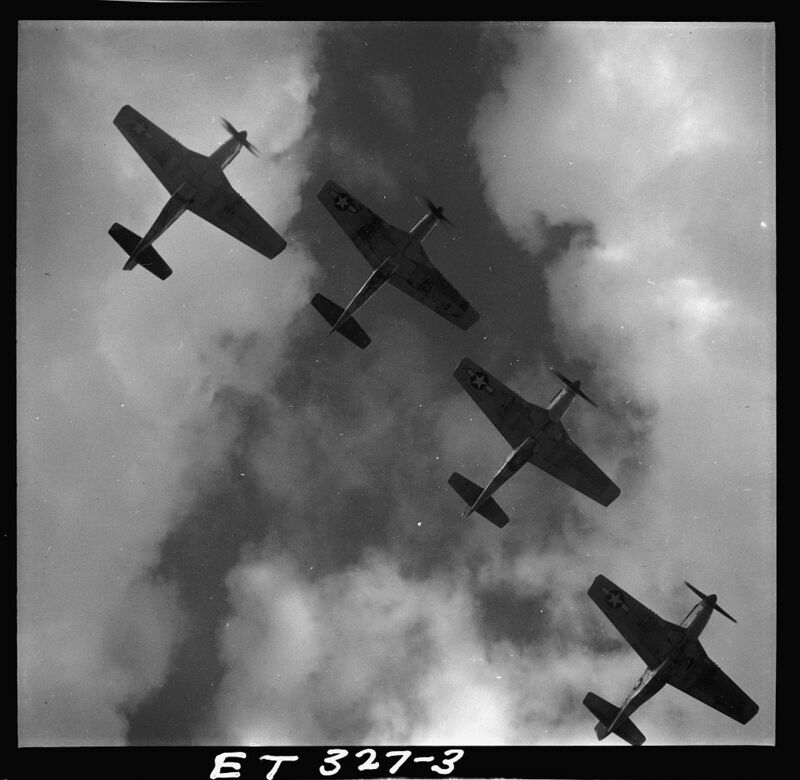 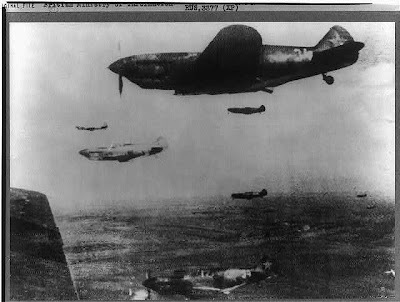 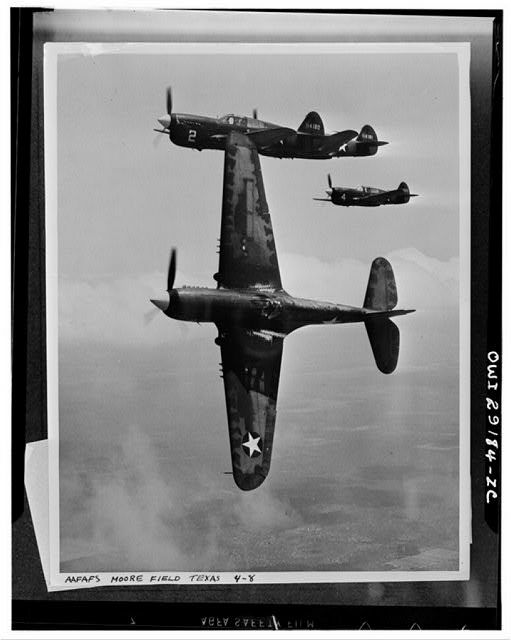 P-40 Fighters in Flight, 1943, Moore Field, Texas. 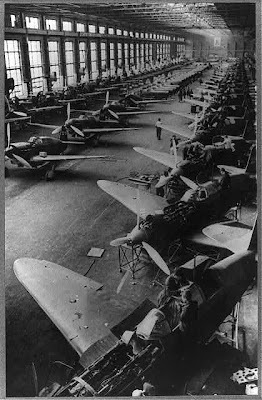 Russian Yak Fighter Planes being assembled, 1942. Royal Air Force Pilot waits for final check of his Mohawk Fighter, 1943.